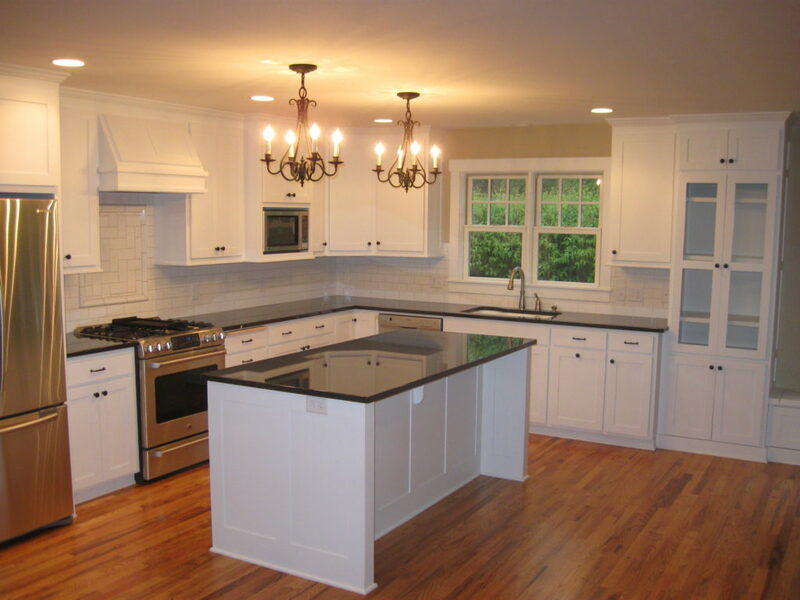 Kitchen Resurfacing – Instead of replacing your kitchen cabinets and countertops, the best and less costly way to go about this is to do kitchen resurfacing. The beauty with resurfacing is that it transforms the texture, look, and style of your kitchen without the hassle and mess of gutting your cabinets and replacing them. Technically, resurfacing mean to lay wood veneers, laminate, or rigid thermofoils over the surface of existing cabinet boxes. When done professionally, resurfacing gives your cabinets and other kitchen surfaces a natural look which is difficult for most people to tell the wood they are seeing is not uniform all through. Within a few days of our technicians and designers working on your kitchen tops and cabinets, you will have a completely transformed, glossy kitchen. The drawer faces, side panels, and doors may need to be replaced, but the cabinet boxes themselves are left intact. If for any reason you want the hardware such as hinges and handles to remain intact, our professionals will clean them so that they can sparkle together with the newer additions. There are different options open to homeowners who want to resurface their kitchens. You can choose from laminates to stone effects, wood veneers, rigid thermofoils among others. Stone Effects – Our stone finishes are geared towards giving your kitchen resurfacing a beautiful and natural look. This resurfacing option doesn’t just give you the look of stone, but it goes beyond to afford you a tough and durable solution that is resistant to impact and scratch. Many of our customers in the Metropolitan area of Perth can attest to this, that our solutions are quality and long lasting. Laminate – If you have been looking to brighten your kitchen cabinets through an easy fix, laminates are for you. They come in solid design choices and they work best for simple, boxy cabinet designs. Rigid Thermofoils – Compared to laminates, this Perth kitchen cabinet resurfacing option is more malleable. This means it can cover more delicate and intricate designs which laminates cannot. Their wood grains are more realistic even though their colors are a bit limited. Wood Veneers – This is a quite a common kitchen resurfacing option though a bit expensive. It is made of real wood and allows you to stick it all around your cabinets to give them the woody feel. You can either apply the adhesive yourself or buy them with the adhesive already applied.